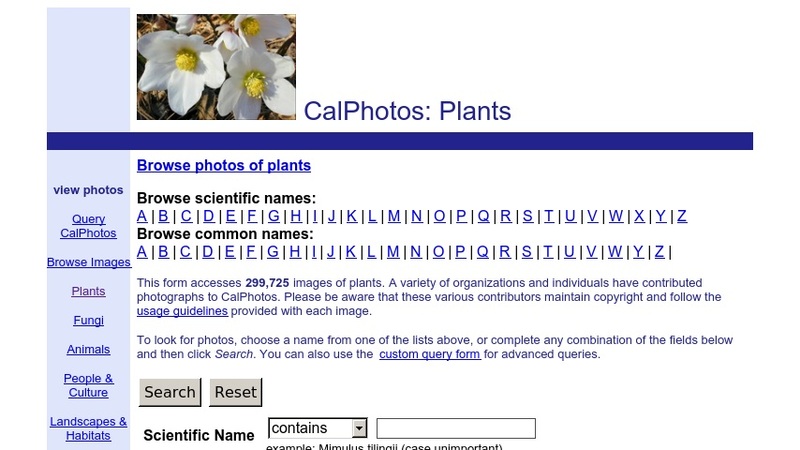 The Plants section of the CalPhotos image database includes 92,787 images of plants (as of May 2008). The photographs have been contributed by a variety of organizations and individuals. You may browse by common name or scientific name, search using one or more fields, or use a custom query form for advanced queries.